Availability: Available in all grades including Perfection. 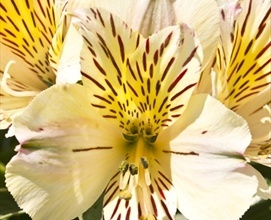 Alstroemeria is an extremely long lasting cut flower (12 to18 days). Purchase only from farms who post harvest treat the flowers with flowerpreservatives for premature yellowing of foliage. 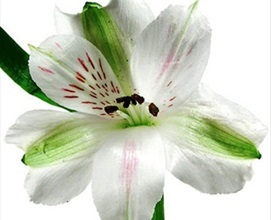 New premium varieties have better flower structure, bloom size and interesting colours. 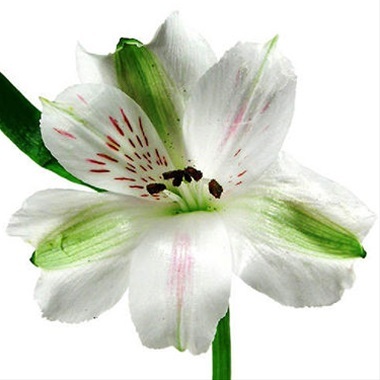 Perfection is a new patented process which features special custom packaging, individually netted blooms and a fully"open cut stage"
Common name for Alstroemeria is "Peruvian Lily"
- The first consideration is handling the stems: Stem joints break easily, so handle them gently. - When received, unpack them immediately, trim about 1 inch from the stem ends with a diagonal cut and place them in a vase with lukewarm water and a flower preservation. - Change the water and preservation in your vase every four or five days. Also, cut the stem ends again and remove all spent flowers and yellowing leaves. - Keep your vase in a cool place away from drafts and direct sunlight. Not all varieties are available in Perfection. 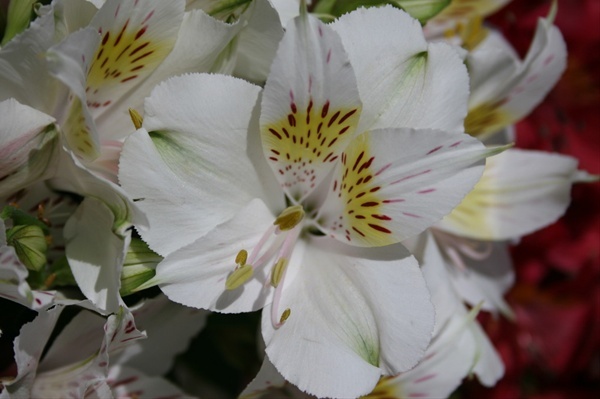 Alstroemeria is graded by stem length and number of blooms per stem and packaged in 10 stem bunches. 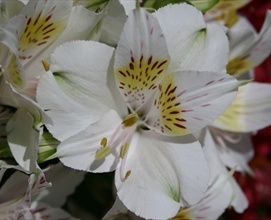 Alstromeria from Ethiopia is offered in a "Netted Open Cut" with an impressive 6+blooms per stem in packs of 15 x 10 stem bunches. The assortment contains Red, White, Pink, Hot pink, Lavender, Purple, Orange and Yellow, no color with more than 20% of the total. 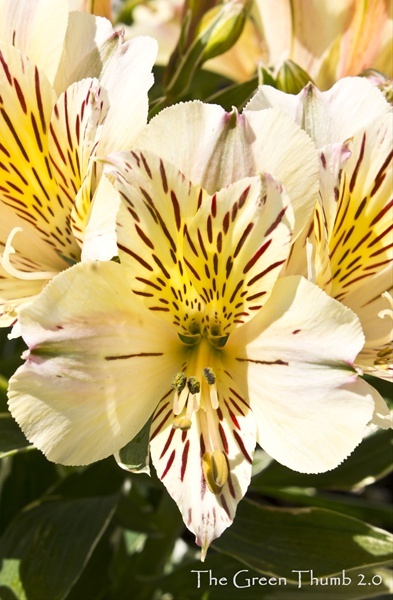 Alstroemeria must be post harvest treated for premature yellowing of foliage. Can be treated with different flower preservatives. Should be shipped with blooms showing good coloration but with no more than 1 open flower per stem.